As much as I love the sun and a sun-kissed glow, I also care about my skin. 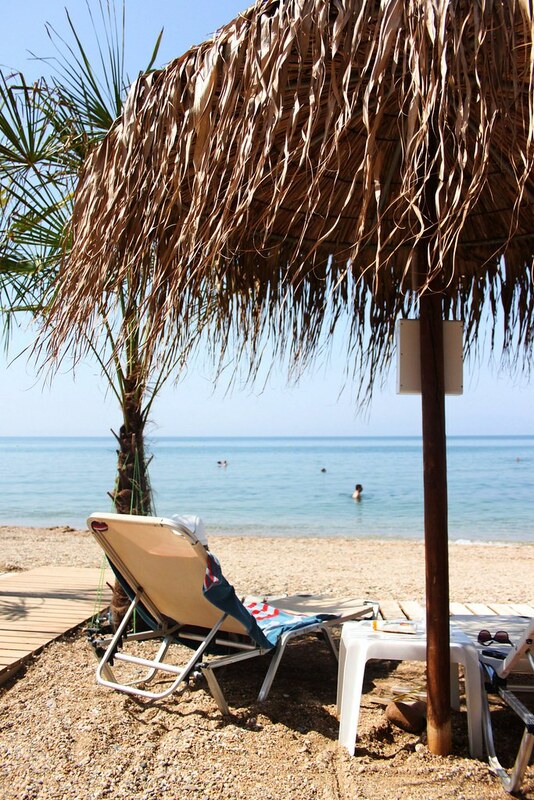 I care about the health of it, its longevity and protecting it from harmful UV rays. I wasn’t always great about wearing sunscreen. I used to care more about having a tan than what would happen to my skin years down the road. But now that I’m much more aware of all the preventative measures I can take to not only keep my skin looking fresh, but also free of things like brown spots and skin cancer, I go out of my way to always apply sunscreen and carry a hat with me whenever I’m on the beach. 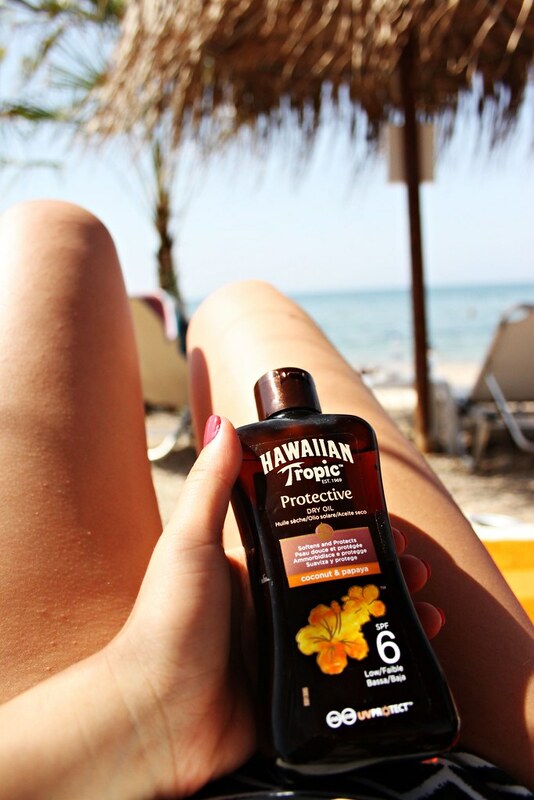 Usually I start with products with higher SPF factor but after day or two under the sun, I normally switch to tanning oils with lower SPF factor. 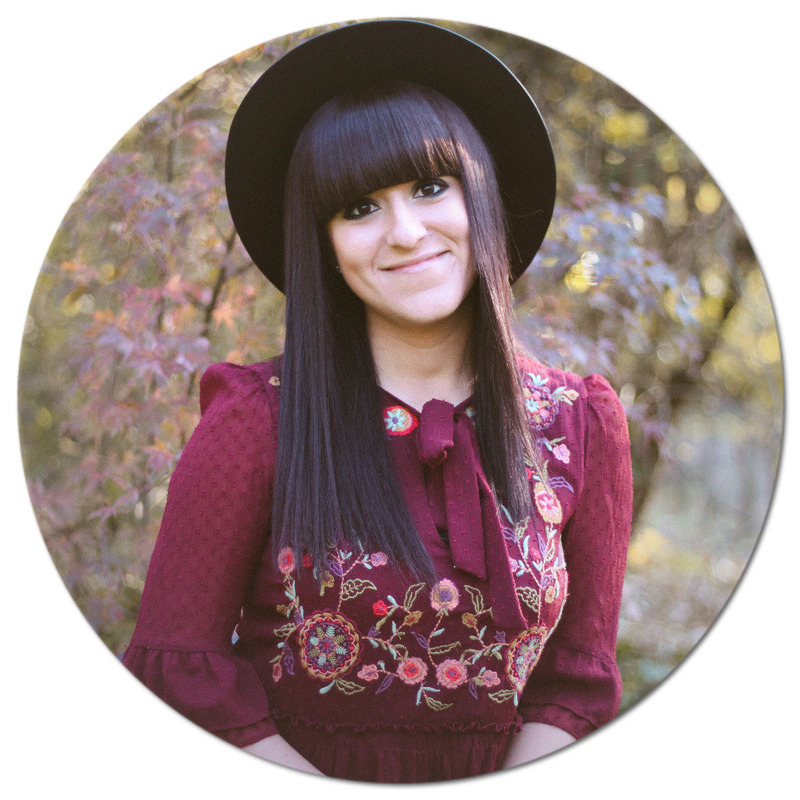 (You can see some of my favorite products here.) Of course, I have a bit darker skin by nature, but if you are very pale, I recommend starting with SPF 50 and stick to it the whole time you are on holiday except maybe the last few days when your skin has developed a healthy tan. 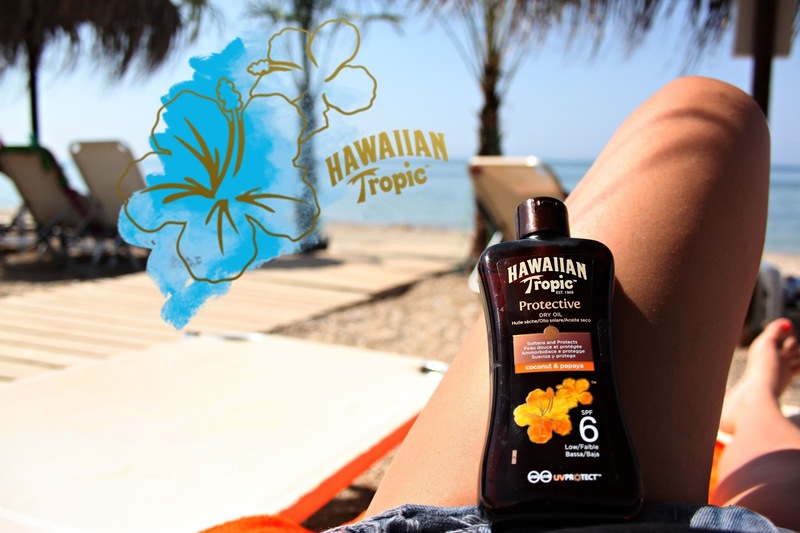 I have used Vichy, La Roche-Posay, NUXE, Galénic and other medical brands since I'm a pharmacist and know how important sun protection is, but have always wanted to try one very well-known and popular brand - Hawaiian Tropic and finally I did it. As usual I tried the lowest possible SPF factor - their Dry Tanning Oil with SPF 6. I was literally blown away! 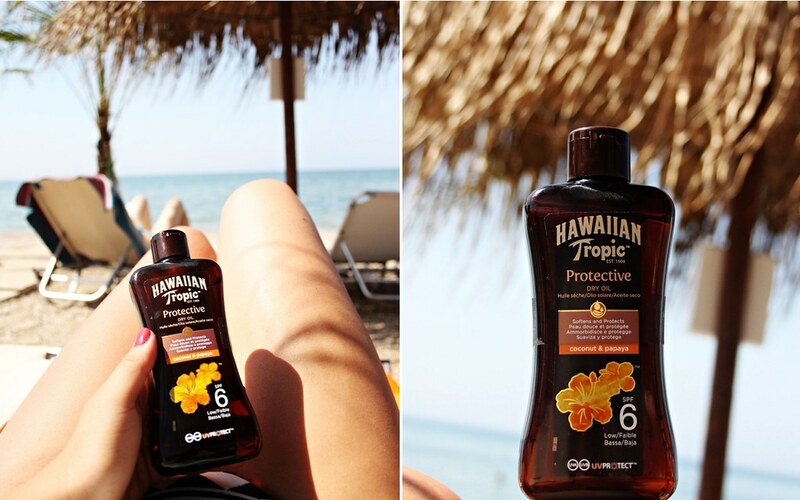 This is the most magical tanning oil I have used so far. It's oil but it is not oily at all when you apply it on your skin. It absorbs almost immediately while at the same time hydrates your skin leaving it nourished and protected. It literally drenches your skin in protective moisture as it is said on their website. In addition to this their products are enriched with Shea butter, Vitamin C and Vitamine E and have the most amazing coconut smell. Another thing that impressed me even more is their After Sun Lotion. 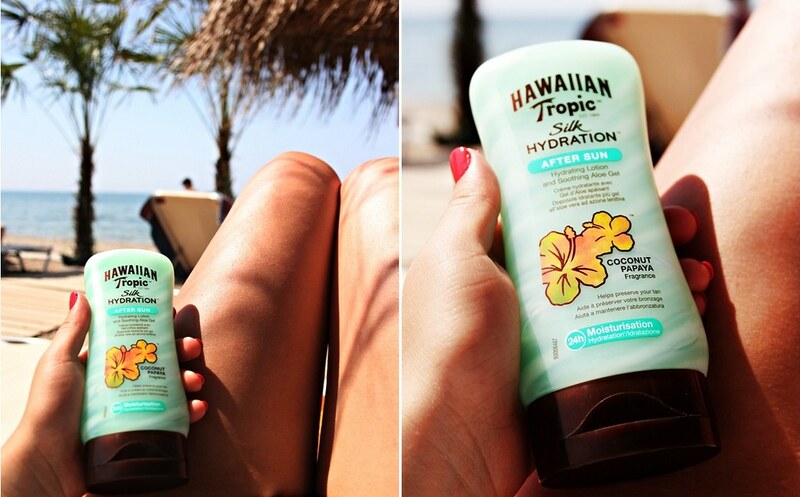 Again, I have tried A LOT after sun creams and lotions, which are good too, don't get me wrong, but this particular one by Hawaiian Tropic is something else. The formula is enriched with Silk protein and Shea butter which moisturize and refresh the skin, while the added Aloe Vera extract soothes your sun-kissed skin after a radiant day spent relaxing outdoors.The texture and the feeling you get while applying it is something really magical, not to mention the dreamy coconut / papaya smell which is definitely out of this world! I'm eager to try more of these amazing products in the future and could not recommend them enough since I got back home. Have you tried them and did you find them amazing as I do? If not, what are your favorite brands and products for the beach and after? P.S. 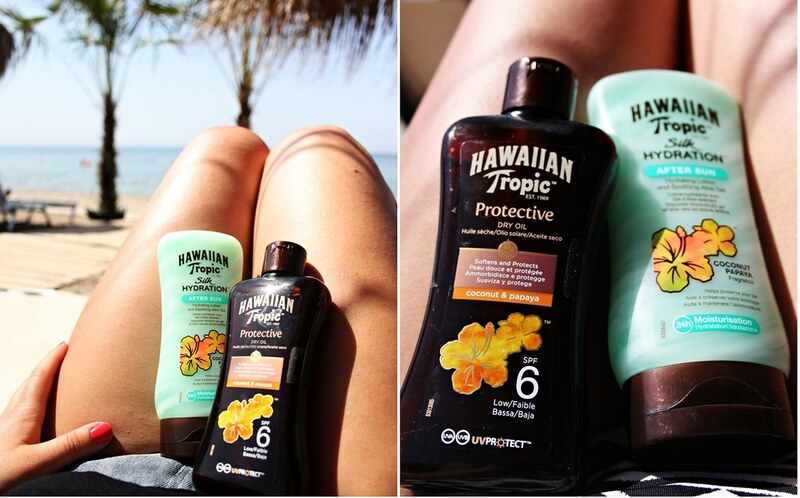 In Bulgaria, you can find Hawaiian Tropic products here. Публикувано от Десислава Валентинова в 23:38 ч.